This model describes a flow control valve with with parasitic volumes. In this model the flow is modeled by an tanh function. 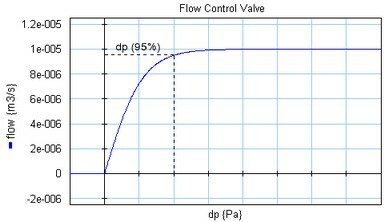 The pressure drop is defined as the pressure where 95% of the desired flow rate is achieved.